The Statutes of the College provide, as do those of certain other Colleges, for the Chancellor of the University to be the College Visitor. The Visitor is David Sainsbury, Baron Sainsbury of Turville FRS, Chancellor of the University. 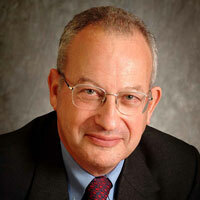 Lord Sainsbury was elected Chancellor of the University in October 2011. His Royal Highness the Duke of Edinburgh KG KT. HRH the Duke of Edinburgh was elected Chancellor of the University in 1977, and first came to Fitzwilliam on 8 June 1979. He came to lunch with the Master and met students, staff and Fellows on 7 February 1985; he unveiled a statue and attended a celebratory dinner on 14 June 1995; he opened the Auditorium and Gatehouse Court on 21 June 2004, and opened the new Library & IT Centre on 19 April 2010. He stood down as Chancellor of the University in 2011.